With an estimated 22 million desktops out there in the wild, the choice of default wallpaper on Ubuntu is an important one. Every major Ubuntu release (barring one, Ubuntu 14.10) ships with a new default background. Being the nostalgic sort, we though we’d dust off our directory of screenshots to take a gawp back through the annals of Ubuntu wallpapers past. 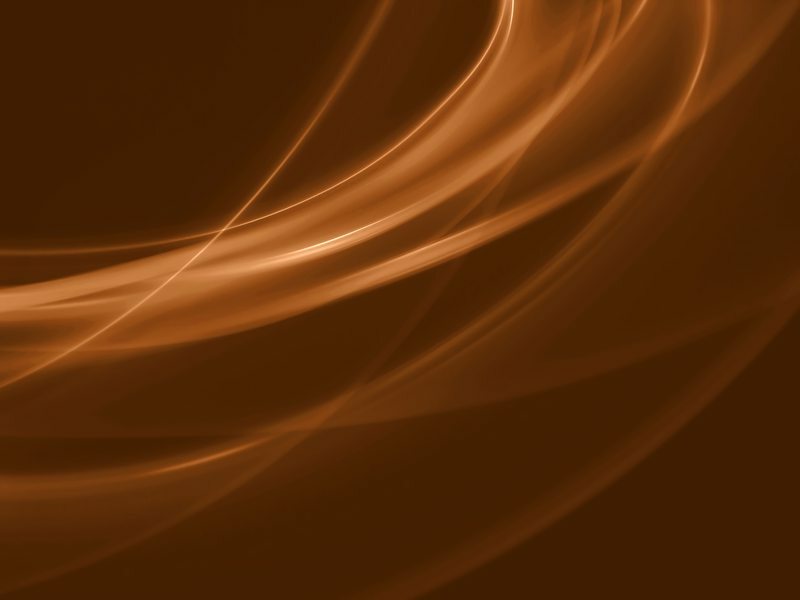 When people have complained about the ‘brownness‘ of Ubuntu in releases gone by I have often wanted to point back to this wallpaper – Ubuntu’s first – so that their opinion could manoeuvre itself into something called ‘context’. 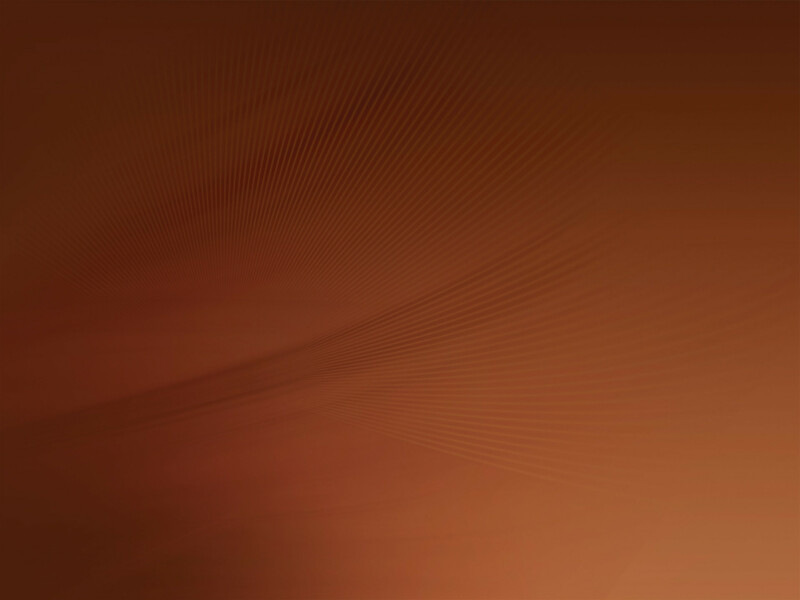 In hindsight this wallpaper is nothing more than an utterly spiritless block of brown with a logo. Sure, the gradient adds a bit of activity but the pallid brown colour lent an uninspiring start to the design of Ubuntu’s desktop. For the Hedgehog first impressions were bucked up: out went the subtle-almost-invisible gradient used previously and in came some wispy light effects and a darker, homely brown hue. 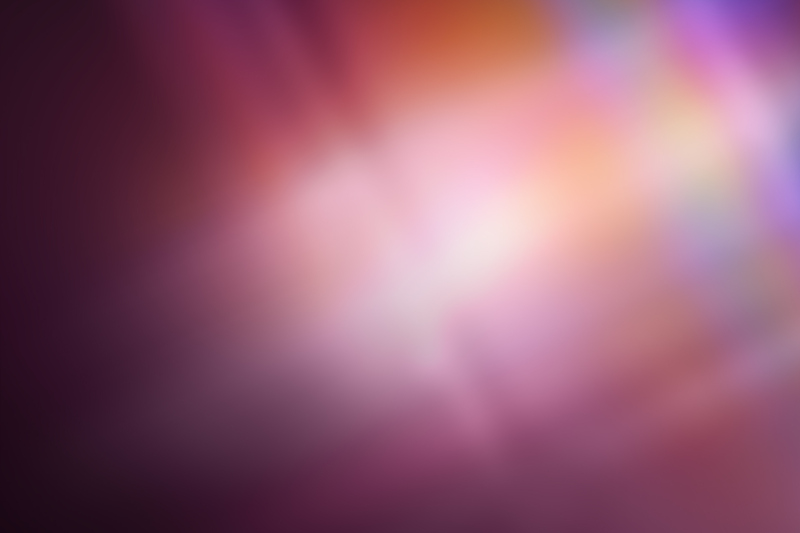 This was the first of two wallpapers to use an off-centre Ubuntu logo – a decision which still bugs me to this day. The overall tone was more pleasing, being one of a burgeoning personality. It’s for this reason the Hedgehog’s wallpaper represented the first true design of Ubuntu’s wallpaper linage. 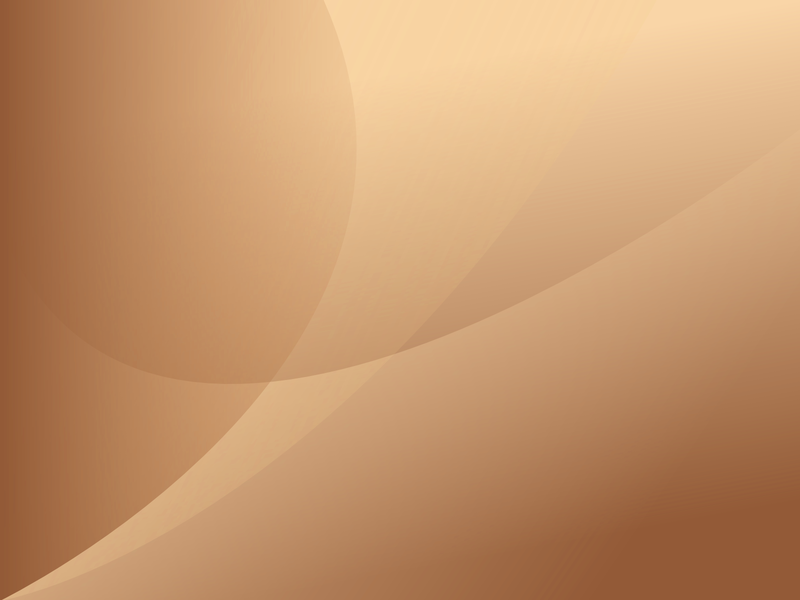 A lighter ‘tan’ brown was used in the default wallpaper for Ubuntu 5.10. 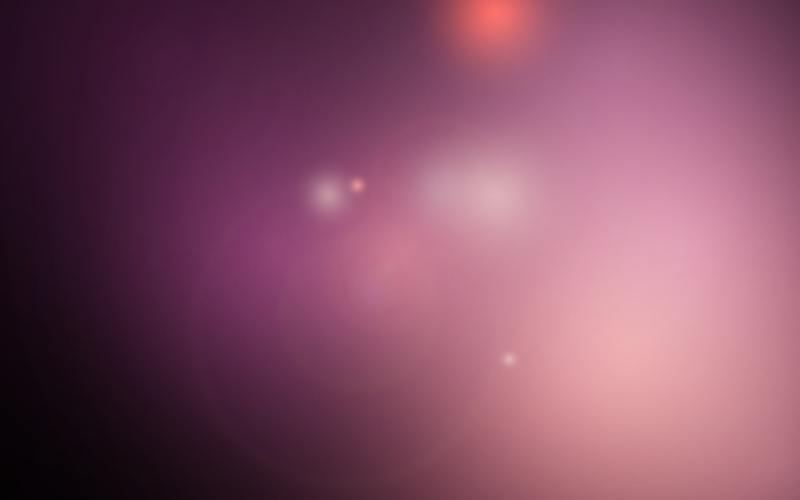 It gave the desktop a softer feeling, with the elegant light refractions adding some bokeh-esque charm. This entrant is notable for being the last default wallpaper to use the Ubuntu logo. One word sums up the Drake’s dapper wallpaper: dark. 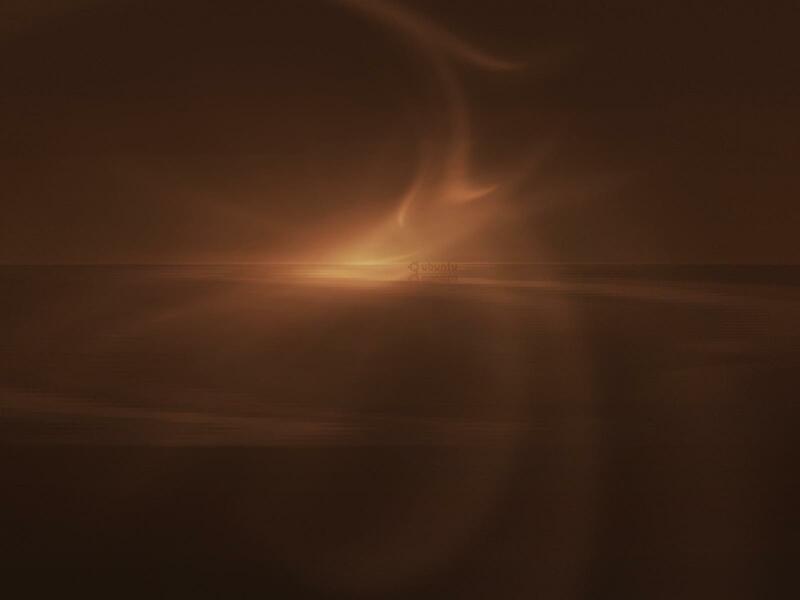 The virulent Mac haters, whose paranoid eyes see ties back to Apple everywhere they turn, Edgy Eft’s default wallpaper of Ubuntu 6.10 would surely have been in for some hate. It shows clear influence from the then-default Mac OS X 10.4 wallpaper ‘Aqua‘. The light skin tones really worked well here and made for a calm amiable looking desktop. 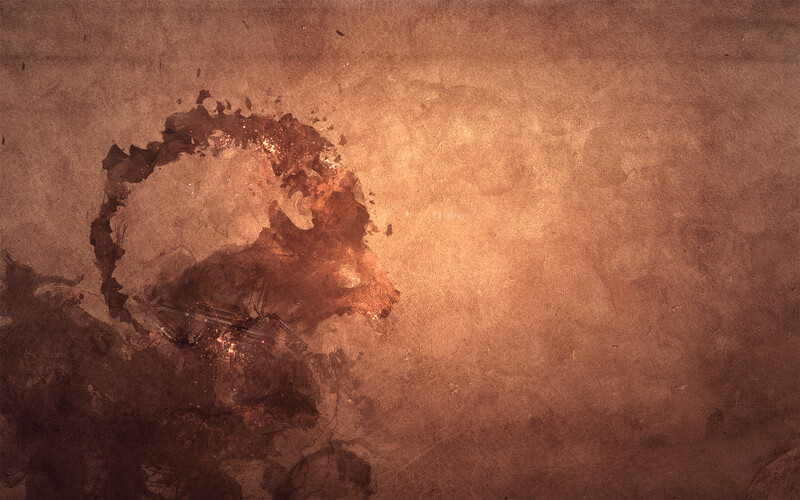 It has been remarked on occasion that the Ubuntu 7.04 wallpaper resembled nothing other than a patch of bruised skin! Having reverted to fleshy tones in its last two releases, Ubuntu 7.10 saw the return of the Dapper-era’s rich brown. With Gutsy being my first Ubuntu this wallpaper holds a nostalgic hold over me and, as such, it’s hard for me to be entirely objective about it. This choice again echoed the well worn design lines of OS X’s iconic Aqua wallpaper but, to its credit, was distinctive enough in colour choice to feel ‘Ubuntu’. Hardy’s wallpaper is widely regarded by many to be the best default wallpaper so far. It’s easy to see parallels between the look of the wallpaper and the changes occurring in the OS itself at that time: there was an emboldened sense of identity amongst users, and Ubuntu felt assertive enough in its own aims to stand up tall and do things its own way. Playing to the success of Hardy’s wallpaper, the Intrepid Ibex also featured its titular mascot in abstract style. The result was not as popular as its predecessor but the emblematic design still stamped personality onto the millions of Ubuntu desktops worldwide. There were, as always, complaints. These mainly centred around the image resembled a coffee stain/splash rather than an Ibex – one which isn’t hard to see. Regardless of opinion Ibex’s wallpaper displayed its identity with pride, something that would be sorely missing from the choice of default desktop art herein. It’s back to basics with Jaunty’s drape: out are the the mascots and back are the gradients and swooshy light effects. But after the imagination and originality of the previous two designs, this was nothing short of a big let down. “Where did the brown go? !” would’ve been a lot of users first reactions when booting into Karmic for the first time. Karmic swapped out the smooth earthy gradientsfor the super cosy tones of, well, orange. 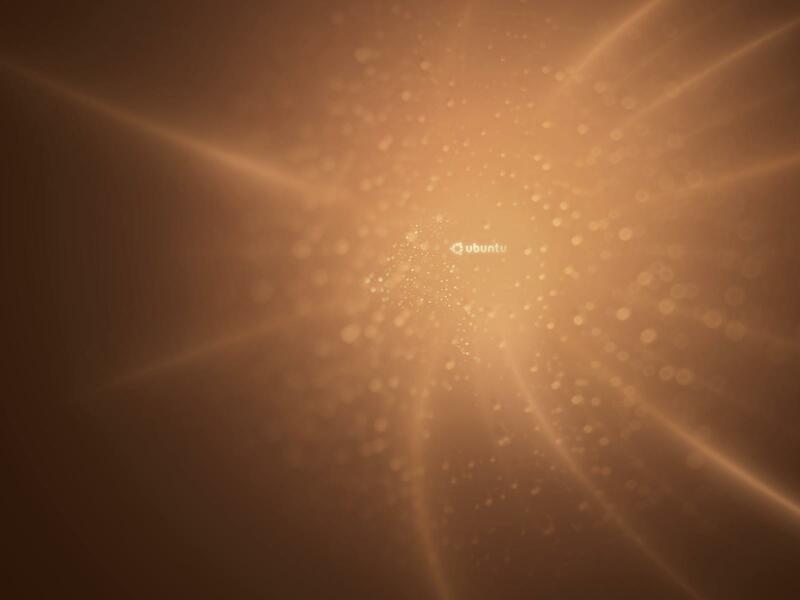 This wallpaper perhaps more than any other gave off a warm and inviting first impression to Ubuntu. The texture of the wallpaper also baffles me to this day: is it a photograph or just clever trickery? I still don’t know! There was certainly no brown to be found in the wallpaper of Ubuntu 10.04 as the introduction of a new colour scheme and visual identity signalled a fresh start for the look of the Ubuntu desktop. The lens flares, blurry artefacts and purple gradients used in Lucid’s default wallpaper were dreamy and in keeping with the ‘Lucid’ moniker. Sadly many found this unobtrusive style to have been at the cost of personality. The original plan for the Maverick background was something a bit more ambitious than what resulted. Sadly time ran out and they were forced to come up with this alternative. The good news was the result was a competent drape, laced with ethereal strobing to lend an otherworldly quality. If the changes in tone of the previous wallpapers were considered a ‘subtle evolution’ then Natty’s approach to the wallpaper front could be considered pretty much extinct! Deciding to err along a consistent, iterative approach to wallpaper changes from here until Ubuntu 12.04 the design boasts only a handful of very minor, barely noticeable changes from 10.10. As the default background for Ubuntu 12.04 LTS would be in play for 5 years long, the designers wisely swapped out the steely cold purple of the last 3 entries for a warmer orange hue. The latest default wallpaper to be added to the collection is this. It’s sporting far more purple than the previous iteration, but the ‘smudge’ remains, albeit in a more dissipated form. The first wallpaper to meld the old look of the desktop with the new mobile-orientated Suru design style. 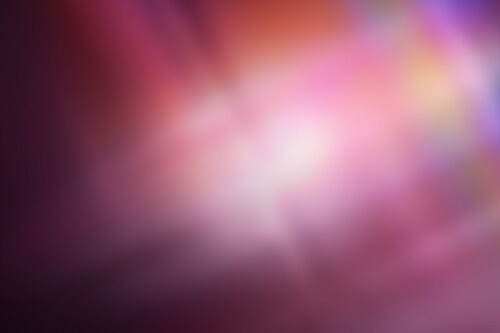 Ubuntu 14.10 did not ship with an updated wallpaper. The Ubuntu 14.04 LTS design remained default. Fittingly for a release called ‘Vivid’ the desktop wallpaper made an impact with an unexpected dark look. The new ‘Suru’ design introduced the year previous remains. The wallpaper for the Wily Werewolf keeps the new Suru design language, but quietens the darkness of the preceding purple gradient. The result is a lighter overall appearance with angular blocks offsetting corner folds. 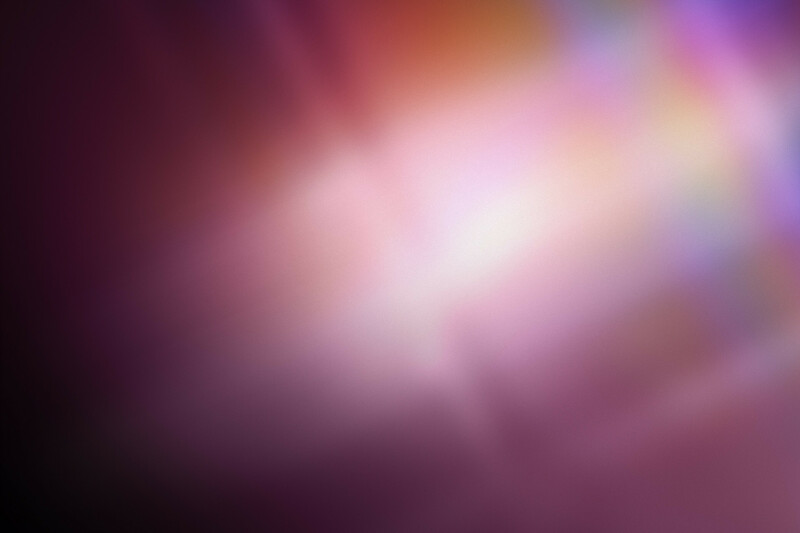 The latest Ubuntu wallpaper is the brightest, lightest entry in a long time. It features more orange and new faceted geometric sectioning to create a ‘web-like’ look. The lighter, brighter theme continues with the Yakkety Yak with in more orange gradient added. The angular geometry introduced in the previous wallpaper continues, now covering a more substantial portion of the screen. 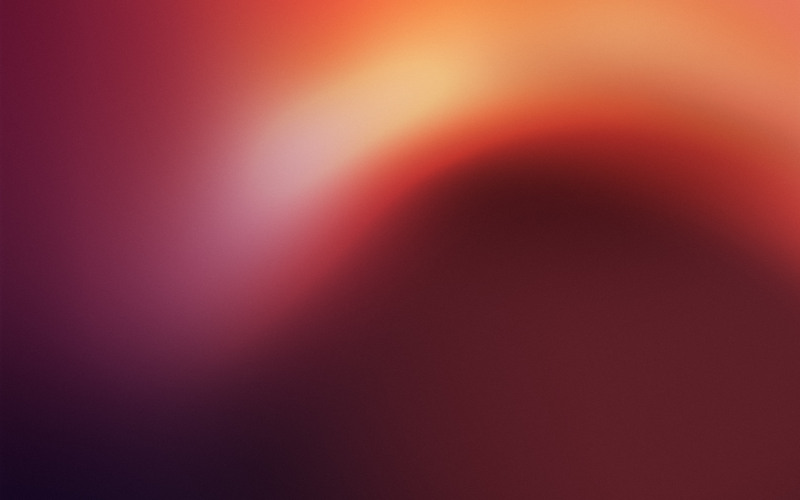 Virtually identical to the preceding wallpaper, the Ubuntu 17.04 default wallpaper retains the orange purple gradient, but flips the area of interest over to the right. 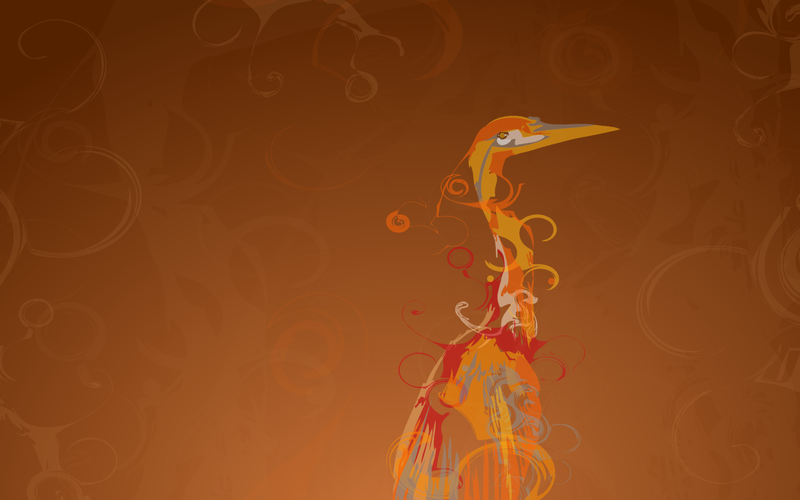 The Ubuntu 17.10 wallpaper is the first Ubuntu background feature the codename mascot since 2008. Sticking with the deep purple background, the Ubuntu 19.04 wallpaper rocks a diligently designed dingo, replete with headphones.